The last straw for my beauty blogging back was the Becca Champagne Pop Palette. Which admittedly was always going to be available over here in the UK, but obviously launched in the States a lot earlier. 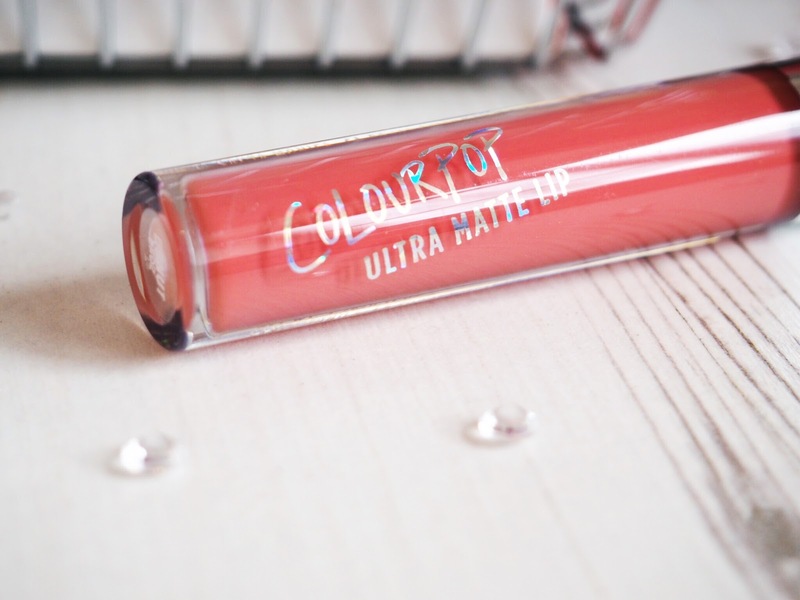 I am like a magpie when it comes to beauty products – especially pretty make-up and I want to try everything! So when I heard about the palette, I decided enough was enough and it was time to find an alternative way of acquiring my make-up…and that’s when MyUs.com swooped in and opened a whole new door to my make-up buying habits. MyUS.com are essentially a mail forwarding company who give you a postal address that belongs to you, and only you. When you register with them you get given a unique address at their warehouse which is effectively like a PO Box. So all those times you’ve gone through an American online store checkout and *almost* been able to purchase those yearned for items…before being caught at the last hurdle because you don’t have a US address and didn’t realise that brand don’t ship internationally? MyUs.com have changed all that. So all those times you wish that you had a friend or family member who’d let you get items posted to their house in America and then send them your way? No need to go through your family tree and search out a long lost relative on Facebook now – it’s much easier to use MyUs! Registering is really easy and within minutes you’ve got your very own US address. The only thing you need to decide on is the level of membership you want. You can get an address from as little as $10. It’s a one off set-up fee with no monthly costs. That’s literally all you pay. That’s the Basic package and it includes many features and all of the main ones you need – the ability to receive and store packages, parcel repackaging and consolidating and access to the personal shopping service. Then there’s the Premium package which offers all the same things but with 2 very important extra’s (this is the one I recommend.) The main difference between the Basic and Premium is that Premium is $10 more – it costs $20, which is still a very low cost and even with the current exchange rate, is still a really good price for the capacity to buy overseas. But for that extra $10 dollars you make it back ten fold… Firstly you qualify for 20% premium shipping discount as a Premium user. You don’t qualify for any shipping discount on the Basic package. Another very important feature is that you get free storage for 30 days as a Premium account holder. That means you can store parcels in your PO Box for 30 days before you start having to pay a (very small) fee. In comparison, the amount of days you can store packages on the Basic package is only 5 days. Thinking logically, if you’re shopping in multiple places the packages are going to arrive at different times. So 5 days really isn’t long before the charges kick in. That money you’ll save on shipping discount and the extra 25 days storage will work out at way more than the extra $10 to go for the Premium package. There’s a full break down of what’s included on each package here. Now for the fun part…the actual shopping. If like me, you’ve got a beauty list as long as your arm, then this bit won’t be hard! Think of all those Bath and Body Works products that you can buy! 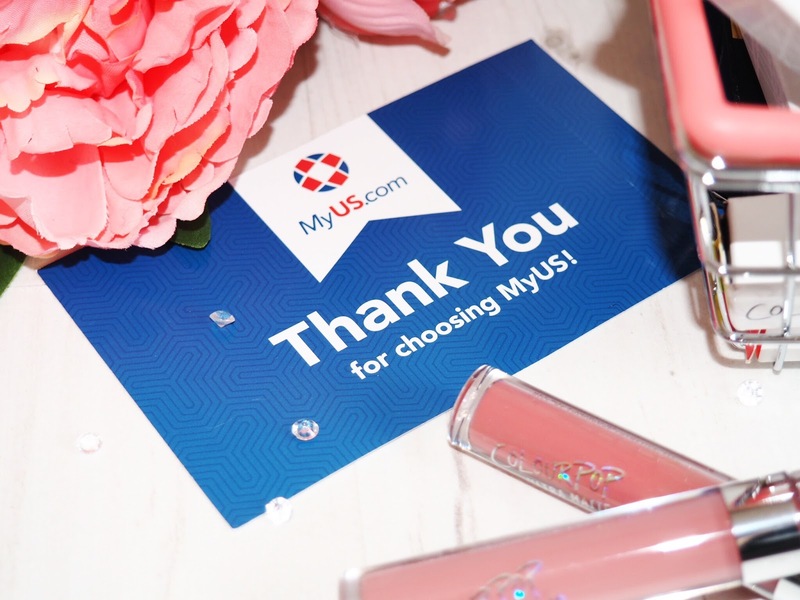 And what’s more, if for any reason you can’t buy the items you want (some stores don’t allow you to even set up an account if you don’t live in the US, then you can use the Personal Shopping service at MyUS, where you tell them what you want and they buy it for you, and charge you for the purchase. It’s all really useful and means there is literally no reason that any item you want can’t belong to you! 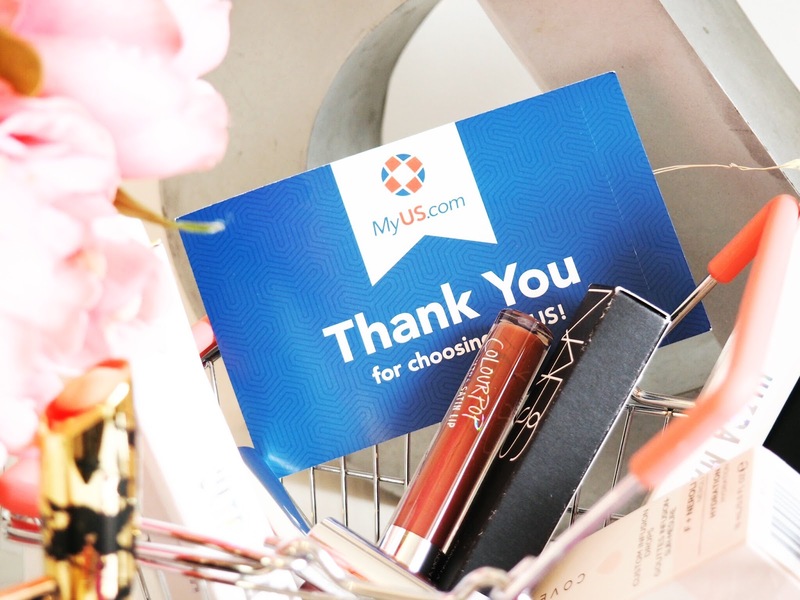 After you’ve purchased your items they ship to your MyUS address. You get an email to notify you that they’ve arrived, and you can manage the parcels from your account. When all of your goodies have arrived you can choose to consolidate (or not) your packages into one box, to make shipping cheaper. Obviously you can send them all individually as they arrive, but that will work out very expensive. The best and cheapest way is to consolidate – it saves you up to 80%. When you’re ready to ship your items you just put the request through your account and someone from MyUS hand checks and repacks your order to a.) make sure it’s all safely packaged and not damaged and b.) secure for transit. There are various shipping options available (I always pick the cheapest) and once you’ve done that, you’re good to go. After this it’s a case of waiting…and it’s not a long wait at all! You don’t have to worry about forms and customs – it’s all sorted for you. You just have to sit and wait, and occasionally check the real time tracking information that MyUS offer. And then wait for that knock at the door! 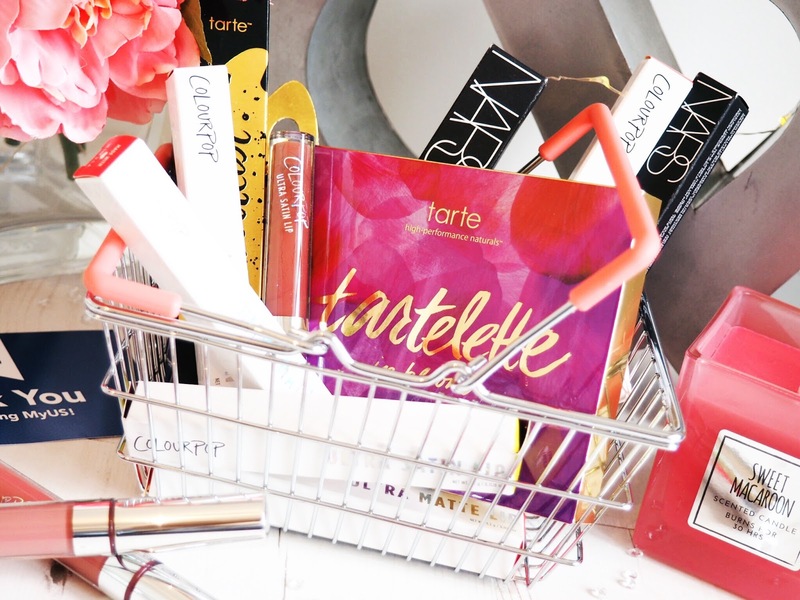 …Voila Colourpop and Sephora goodies galore. That’s really all there is to it – the only other thing to mention is the customs fees. These are also taken care of for you – no more having to go to the sorting office and pay in cash to get Royal Mail to hand over your goodies. Now you’ll just get an invoice to pay quickly and easily from home. Mine usually come a few days after my delivery too, which is great. So that’s the technical and practical info. What’s it really like? It’s so exciting! Using MyUS has meant that I can finally get the products I’ve wanted for ages but not been able to get hold of here in the UK. No matter how much I want to try the latest highlighter palettes, I’m not paying double or even triple just to get my hands on it. 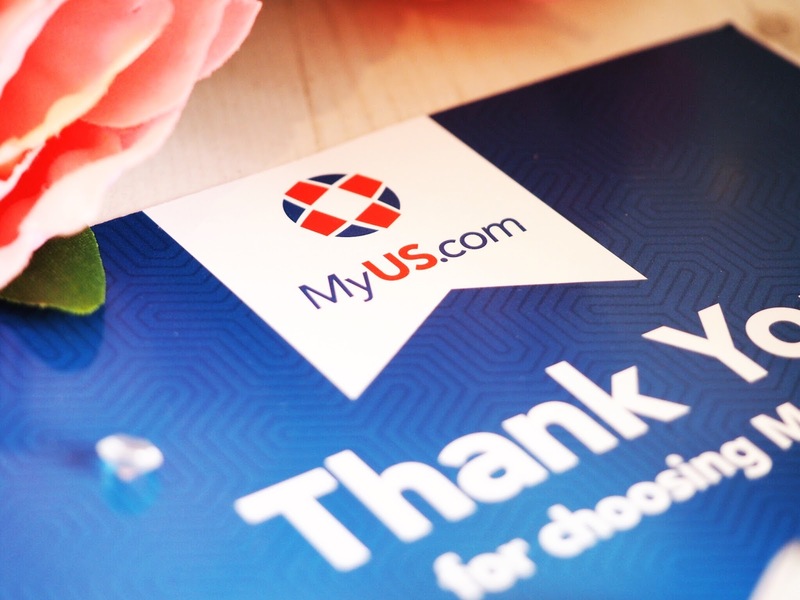 Using MyUS.com means that you get to take advantage of the American prices. That’s the biggest point for me. Even with the exchange rate being down, you still save money – even if just a little bit. Every penny saved helps go towards another item on the wish-list right girls?! When I’ve ordered, I am like a kid at Christmas waiting for my goodies to arrive. I always go for the cheapest shipping option – I first assumed that it would likely take weeks to arrive due to it being the cheapest option available. But 6 days later and there my parcel was! I was SO impressed. And it came with a cute little note signed by the person who packed my box – thanks Larry! Price wise my last delivery featured six Colourpop lipsticks, a Tarte eyeshadow palette, a Nars lipstick and some Nars eyeliner too. Nine items in all and the shipping was approximately $35 and then the customs worked out at approximately £30. What I’d have to pay to buy the same items here with Coloupop from eBay at extortionate rates and the other products from various department stores with postage meant that I saved money and got items I can’t get here. It’s win/win. My last delivery included some bits from Sephora that I’d been wanting for a while anyway and although Sephora do ship here, the prices can offer a slight discount so I recommend getting your normal bits from Sephora and adding them to your purchases if you need to buy them anyway, because you’ll still save yourself a little bit of money. Plus they stock so many amazing brands in one place it’s just so easy to get your beauty fix there. Then you can shop in the places that don’t ship here anyway – my favourites being Colourpop, Bath & Body Works and Lorac. Get them all shipped to your MyUs address, wait a week or so and you’ll have the best package ever waiting on your doormat in no time. Because so many of you have been asking me about this, and because MyUS have kindly offered this for a limited time only – Lady Writes readers have an amazing 15% off their first shipment. You need to use this link to register to get the discount. Just think of it as a little gift from me and MyUS. 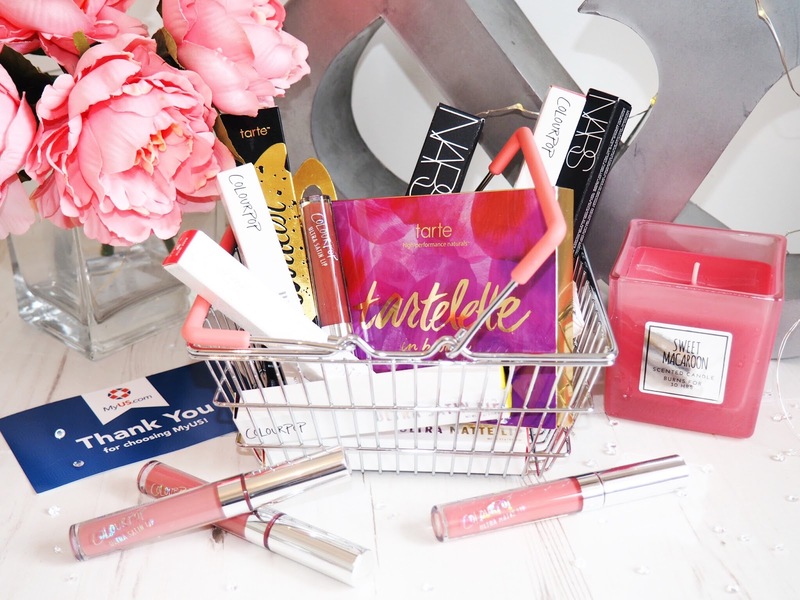 What American beauty items will you be buying?